I gave this poem an excellent, but I couldn’t make myself “like” it. Effective lines reflecting true feelings, and reality before the eyes is well captured.’Come September is not the Love Theme anymore. this is an amazing collective haiku! heavy imagery about 911 being portrayed in each 5-7-5 stanzas! Eerie it was to see the hospital personnel waiting lined up for the injured to arrive–so stunning when it became apparent there were very few. That’s what your write made me recall. Well done. Damn. Riveting, powerful, emotional. It took two reads for me to catch what was really happening. It was portrayed masterfully though, every line absolutelty necessary, every word pulling it’s weight. Great job. wow! great poem very powerful and moving! Thanks for all of your comments, your feedback is much appreciated. 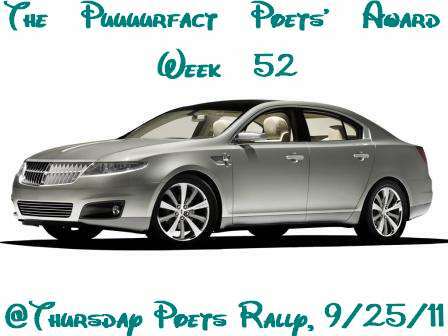 There is still time for you to join poets rally week 52, share a free verse today.